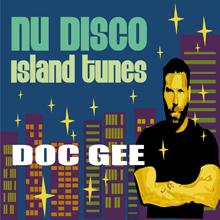 Special Summer edition for Doc Gee with Nu Disco / Island tunes a brand new collection of 8 remixes specially crafted for Djs and Nu Disco lovers. This album release is including tracks featuring Debbie Sharp, Marcia Johnson and Loving Paris. A must for Swimming Pool or beach Party.